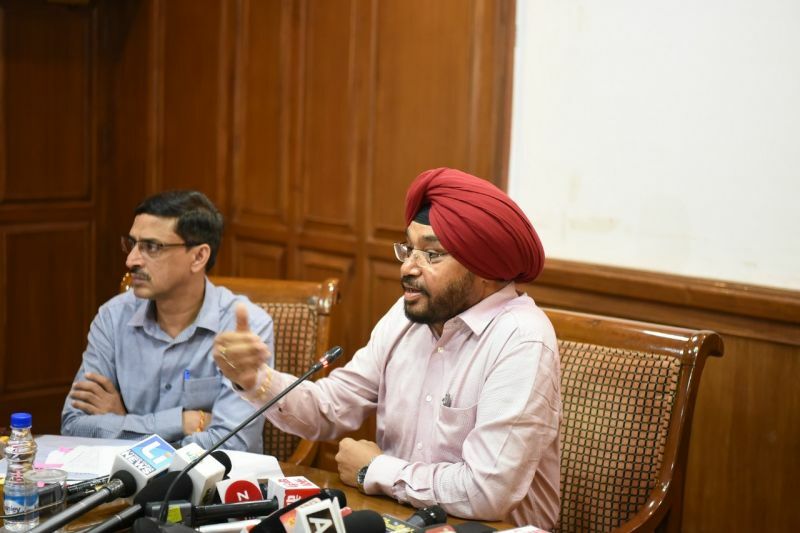 The State Election Commissioner, Punjab, Mr. Jagpal Singh Sandhu here today announced the schedule for the elections of 22 Zila parishad and 150 Panchayat samitis . With the announcement of the schedule, the 'Model Code of Conduct' has come into force immediately in the State. The Code of Conduct would be in force till the completion of the electoral process. Elaborating more during the press conference, Mr. Jagpal Singh Sandhu said that the process for filing the nominations would commence on 4th September, 2018 and 7th September 2018, would be the last date for filing the nominations. The nominations would be scrutinized on 10th September 2018 while the date for withdrawal of the nominations would be 11th September 2018 whichwould also be the date for allotting the election symbols to the candidates. The voting would be held on 19th September 2018 from 8 AM till 4 PM. Counting of votes would be held on 22 September 2018. A total of 35 observers are being appointed to ensure peaceful conduct of the polls. He said that 354 members would be elected for 22 Zila Parishads and 2900 Members would be elected for 150 Panchayat samitis in the state. Government of Punjab has given 50% reservation for women in Zila Parishads and Panchayat samitis. Mr. Sandhu also said that the voter lists of the Zila Parishad and block Samitis had been updated with qualifing date of 01.01.2018. He appealed to all the voters to participate in the voting process with full zeal. There are 6688245 male, 6099053 female and 97 third gender voters totalling 12787395 registered voters in state for these elections. Commission has established 17268 polling booth and 86340 personnel will be put on election duty. The State Election Commissioner further said that the expenditure limit for a candidate contesting for Zila Parishad has been fixed at Rs.1.90 lakhs where as the limit for those contesting Block Samitis coming has been fixed at Rs.80000.